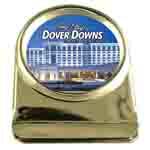 Description: Solid brass keychain with multi-color front and embossed back. Description: The carabiners come in assorted colors. They can be put on any of our many zipper pulls. Description: 3/4″ red transparent dice. Names on the 1 pip and locale designation on the 6 pip. Description: Large 1″ red transparent dice keychain. Names are on the 1 pip and locale designation on the 6 pip. Description: Space for name drop. Description: Various designs available as well as custom. Description: White disposable lighter blister packed to colorful display card. Name selections of either English or English & Hispanic mix. Description: Gold-plated 6 pointed badge great for your younger customers. Description: Locale design on the outside and name on the reverse side. Description: Each card and dice are personalized. Description: Lighter and bottle opener all in one. The lighters are refillable. They come in assorted colors. Custom location label available. Description: Square spinning keychain. Personalized with a person’s name on one side and a custom design/location on the other side. Description: Quality deck of playing cards. Gold stickers with custom locale designation will be added with a minimum order of 3 pieces per name.